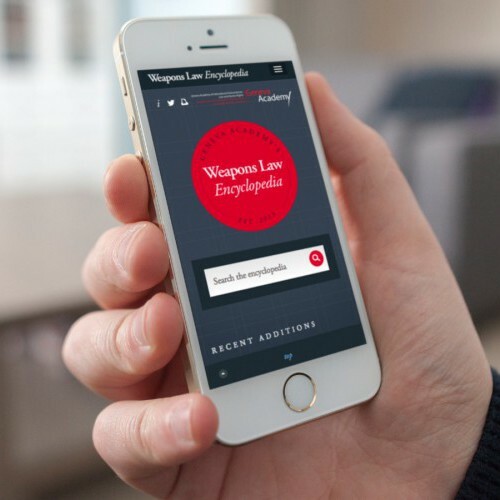 We were tasked by the Geneva Academy of International Humanitarian Law and Human Rights to produce the world's first-ever online encyclopedia of public international law applicable to weapons. The website comprises of a multitude of weaponry, the effects of their use, and their regulation under international and national law, in a format that is accessible to non-specialists. 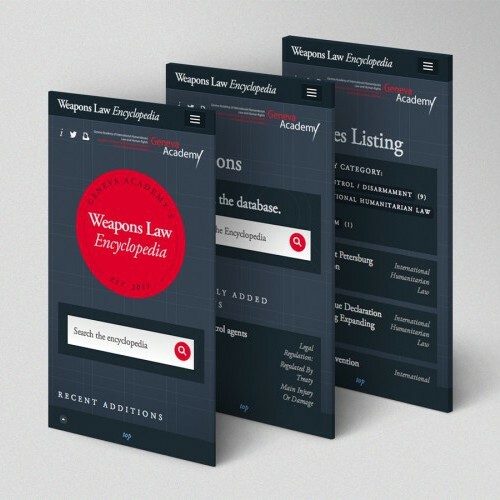 Weapons law is not an easy subject to understand so the fully content managed site was built with usability and simplicity at the forefront of our minds. The site has a simplistic, minimal feel to it, using a muted slate blue and bright red colour scheme to give the severity which this particular subject requires. Imagery is kept to a minimum and content is tabbed into key groups to give swift access. Content had to be easily accessible and the advanced search tool enabled that. Live loading results directly into the page gave a much smoother user experience and we found that users got to content quicker and with less hassle than a regular search flow. The site has also been replicated as an iOS app and is available on the app store now.